Pope Francis says climate change is real and human activity plays a role in rising temperatures. Neither the content of his encyclical, “Laudato Si’: On the Care of Our Common Home,” nor the fact that the Pope agrees with the scientific consensus should be surprising. Nonetheless, this is the headline being repeated frequently this week. This simple lifestyle can have far-reaching effects. Wright’s Kentucky religious congregation, for instance, refused to allow a gas pipeline across its land, making the corporation suspend their development plans last year. Sister Farm has a whole list of farms and ecological retreat centers started by women religious. Congregations plant gardens, renovate their motherhouses for LEED certification, drive hybrids and install solar panels. In 1994, Catholic sisters in the United States and Canada set up the Sisters of Earth network, which meets every two years. Such networks can help support and amplify the individual work of sisters on social issues. So, too, do Catholic volunteer programs, where young lay women can absorb the charism of a congregation for a year or two without taking vows. One such volunteer blogged on Global Sisters Report about what she learned from the community’s approach to saving water in drought-stricken California. “Widespread change begins with intentional, individual action,” she wrote. Affirming the major theme of the Pope’s encyclical, though, women religious aren’t in this work simply to save the earth for its own sake. Eco-justice puts the poor at the center of protecting creation. Nobody embodied this idea more than Sister Dorothy Stang. 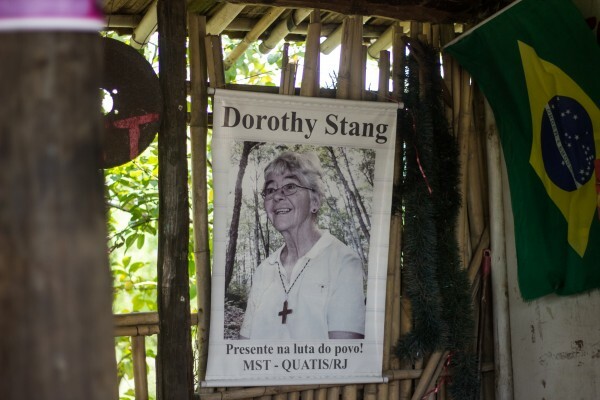 Her work to save the Amazon in Brazil was directly tied to her advocacy for poor farmers. As a consequence, wealthy ranchers ordered her assassination. As John Allen noted, she could be the “patron saint” of the Pope’s encyclical. This approach reflects a broader movement of faith-based organizations. Sisters and religious congregations will be on the frontlines as natural resources become scarcer, particularly in the developing world. For this reason, faith-based organizations from Caritas Internationalis to WorldVision have made it part of their mission not only to respond to climate-related disasters but to help the poor prepare and adapt to changing climates. Nature inspires people not only to dig their fingers into the earth and fight injustices but also to ponder God. As The Atlantic’s story on green nuns points out, this has led some women religious away from traditional Catholicism, even as they remain a part of the church. Conservatives warn that sisters studying cosmology are promoting New Age ideas in conflict with Catholicism. Pope Francis is releasing his encyclical in an era in which many say they feel more at home in nature than in a church. As commentators have noted, his text will challenge liberal environmentalists as much as it does climate change deniers. Yet, it’s very possible that turning one’s attention to our planet’s health might challenge existing understandings of creation and humanity’s place in it. As much as I anticipate Pope Francis’s encyclical, I expect that it will spark much discussion but evoke no real change. To turn our human community in a new direction requires a new cosmological narrative which, in turn, will mean radical changes for theology, ecclesiology and pastoral ministry. If we want a different world, we must become a different church. Pope Francis’s encyclical has laid the groundwork for a new conversation about the environment. But the really “radical” (in both senses of the word) environmental work is happening at the grassroots level, with sisters leading the way. 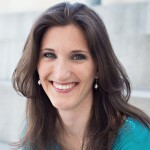 Megan Sweas is the editor and director of communications with the USC Center for Religion and Civic Culture.